Do you understand why the Muzzies are fighting us yet? Make no mistake; the relentless frontal attack on the minds of our college students and school children by America’s ever burgeoning alliance of treasonous quislings and sharia-adherent Islamist killers, is for the express* purpose of destroying every aspect of their developing sense of what freedom and compassion for others actually means. And is exactly what was taking place in Germany at the hands of the Nazis between 1938 & 1945. I.e., any parent, regardless of their national origin, religious affiliation, or whatever, who wishes to simply review on behalf of their offspring said step-by-step calculated destruction of an entire society, by other fascist savages, may do so by reading the comprehensive narrative entitled; “Education in Nazi Germany”, on http://www.spartacus-educational.com. 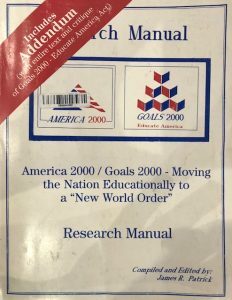 *Islam’s original declaration of war on the United States was seized in 2004 in accordance with a federal search warrant from a subterranean basement in Annandale, Virginia by Special Agents of the FBI. Anyone wishing to order an Arabic-to-English translated (verbatim) copy of said document may do so (for a nominal handling & postage fee) by contacting http://www.securefreedom.org to request: GOVERNMENT EXHIBIT 003-0085 3:04-CR-240-G U.S. v. HLF, et al. I initially attempted to post an opinion with respect to the foregoing UTT blog on 27 September, i.e., 4-days ago; when I clicked on “SEND”, however, the entire narrative I had written disappeared from the page without posting. Whether or not that was the result of a glitch in the UTT website system, or of editing or censoring, I’m unable to say. In any event, the following comprises the essence of what I had said. 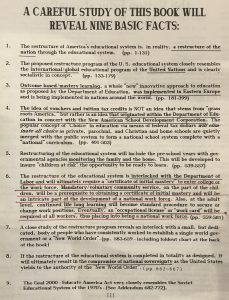 Inasmuch as the 10th Amendment to the U.S. Constitution empowers each State to determine the content of its respective public education curriculum; Islam’s relentless nefarious attempt to supplant said content in all fifty of said systems with its draconian 14-century ideological madness known as “Sharia”, it is vitally important, therefore, to understand that the attempt to do so is significantly enhanced by each & every gubernatorial congressional election success their candidates may achieve. 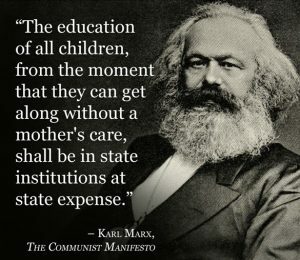 I.e., parents with children currently enrolled in any public educational curriculum who are yet unaware of the horrific & inevitable ramifications which have ensued in the past when the freedoms and values of entire societies have succumbed to the political ideology and control of other anarchical fascists may be well advised to acquaint themselves with the history of “Education in Nazi Germany” which appears on Spartacus.com in eleven successive & concise chilling sections.